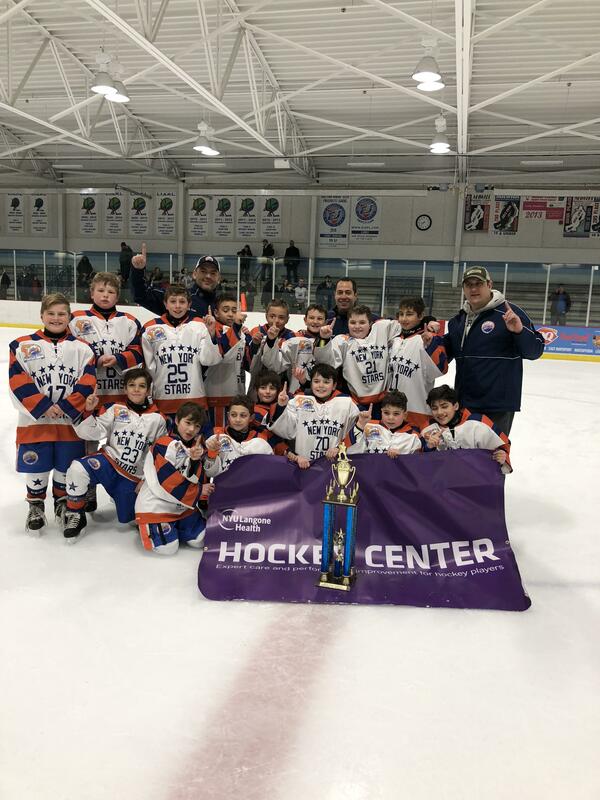 Congratulations to the Squirt A Team with a resounding WIN (4-1) over the New York Cyclones, bringing the LIAHL Championship home to Brooklyn. 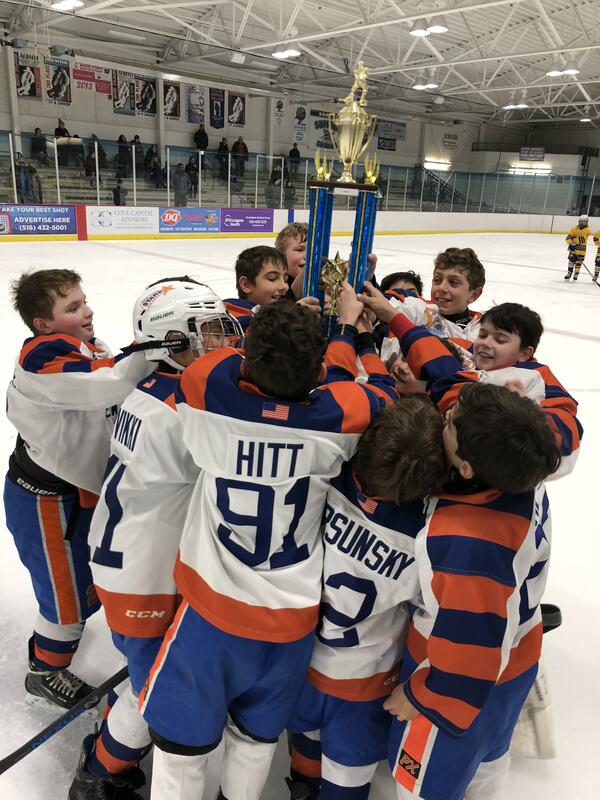 From an inauspicious beginning, this varied group comprised of travel players from Mites, second year Squirts, and novices from house league. It is often said that team work builds Character and nothing was more evident today. Both the defense and offense operated seamlessly, capitalizing on opportunities and playing smart, skilled, and team based hockey. During the course of this season Coach Roman has built upon the three themes of conquering adversity, building character, and playing for your teammates………Im sure of three things. This team is filled with character, strength, and the will to win. Thanks to the Coaches (Roman, Gene, and Dan) and one great Manager (Lorenzo), Thanks to the Parents, Grand Parents, and siblings, most of all, Congratulations and Thank You to a great group of Players. GO STARS!!!!!!!!! !